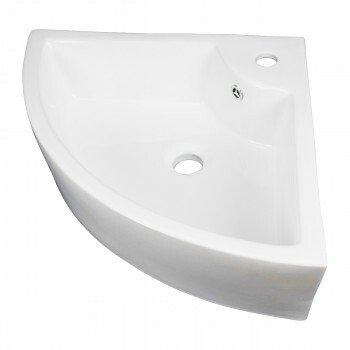 The Angle vessel sink from Renovator's Supply features durable ceramic construction and a unique curved triangular design. 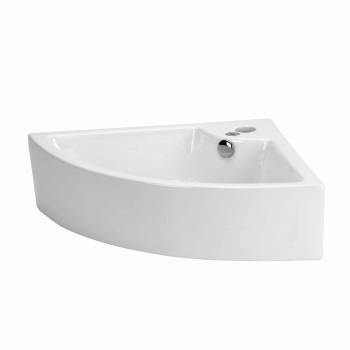 Features: - The Angle is an eye-catching contemporary vessel sink. - Vessel sinks save space without sacrificing the luxury of a spacious sink. - Constructed from gorgeous Grade A vitreous china ceramic for durability and easy cleanup. - RENO-GLOSS finish protects from scratches and stains. - Authentic Renovator’s Supply logo guarantees better quality than the knockoffs. 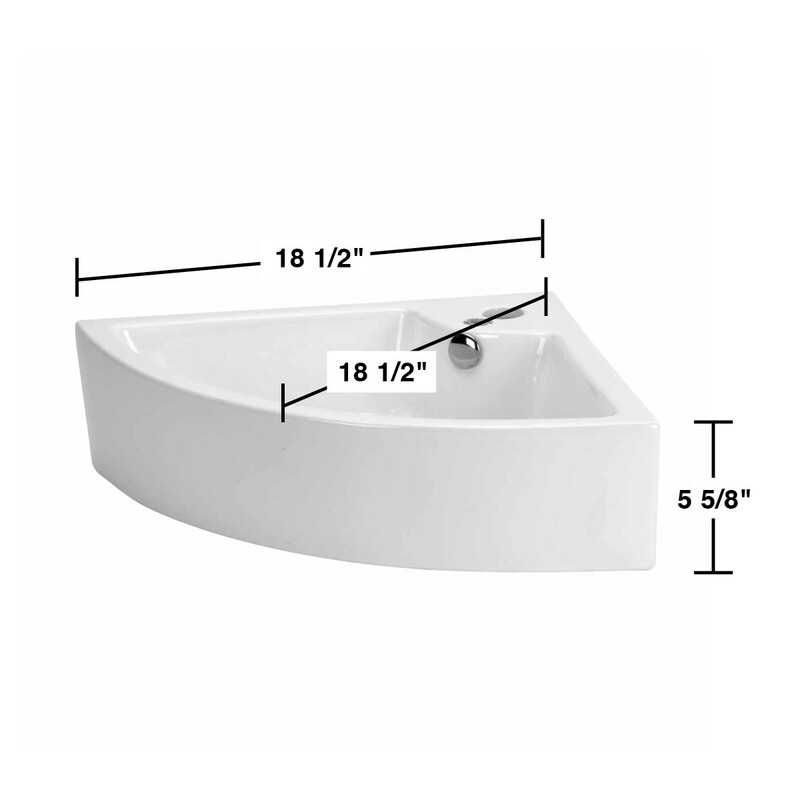 Dimensions: - OVERALL 5-5/8"" High x 25-7/8"" Wide x 18-1/2"" Proj. 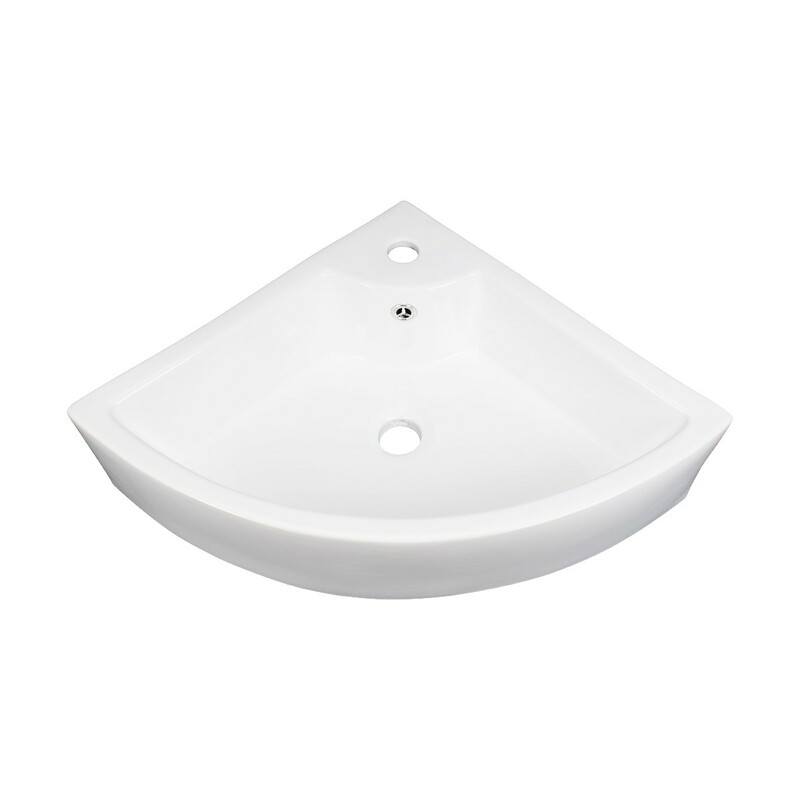 - BASIN: 4-1/2” Deep x 18-1/2” Wide x 11-1/4” Proj. 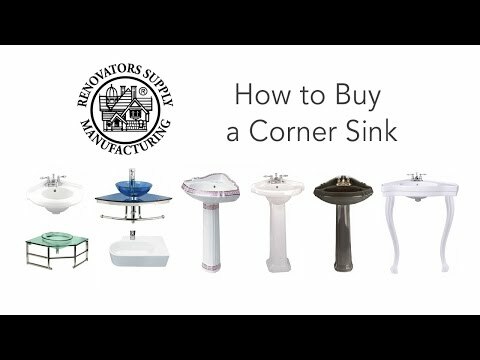 Other Details: - Installation Style: Countertop - Art deco bathroom fixtures & classic vintage / antique stylings What's Included: - One (1) Angle Porcelain Vessel Sink - Features Authentic Renovator's Supply Logo.Features Authentic Renovator's Supply Logo. The striking and sensual look of this product gives your bathroom a modern touch and sleek look. 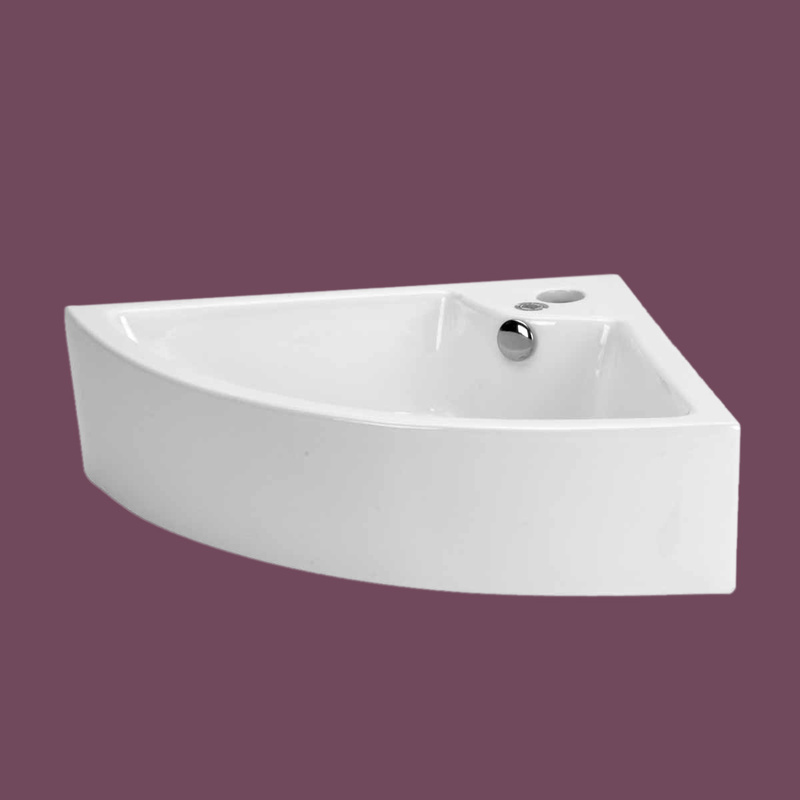 Its graceful edges and unique design along with a shiny character brings an unusual contemporary look to your bathroom. 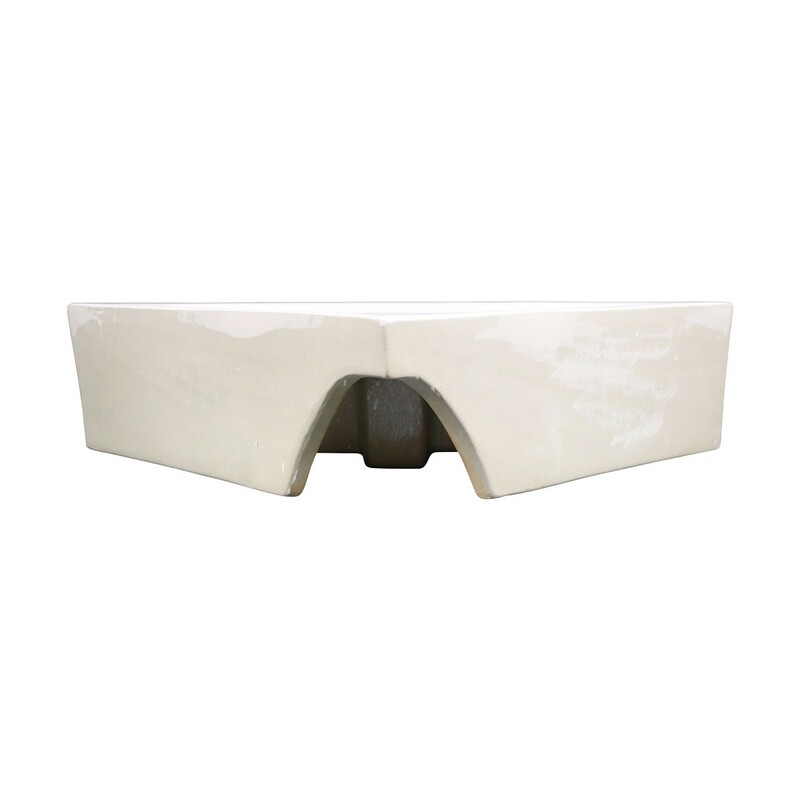 This product is constructed of grade A vitreous China that epitomes durability and endures everyday use. Its exquisite design is often seen in contemporary hotels. 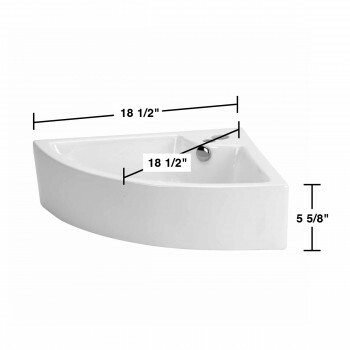 Installing this piece in your bathroom is a trendy way to embrace your current bathroom decor. The clever design is not only beautiful but it also makes the best use of available space. 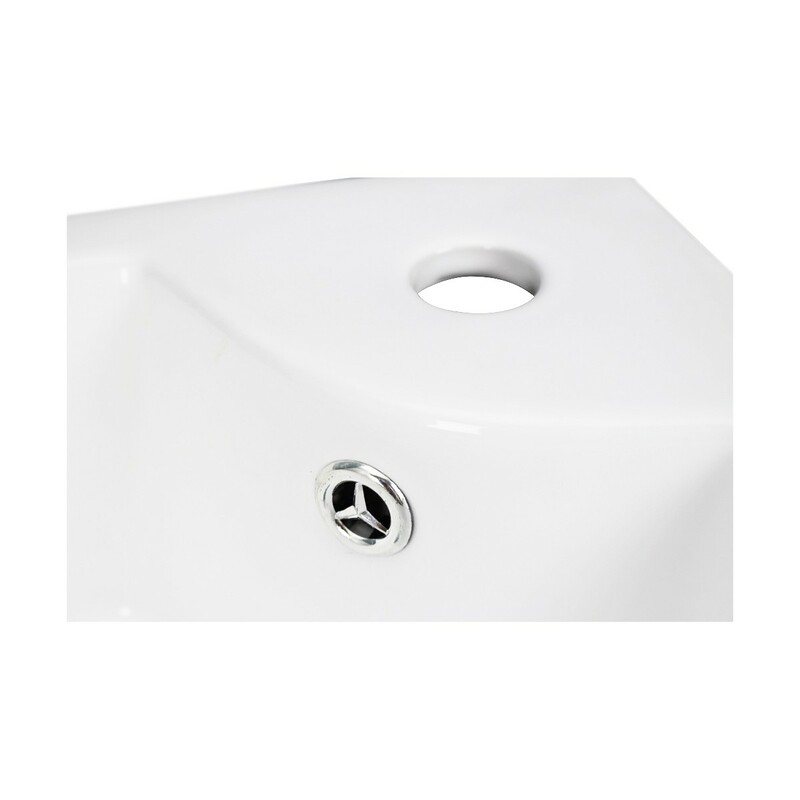 For a modesty-sized lavatory or bathroom, this stylish product is going to complement the entire decor without narrow-down the corners. 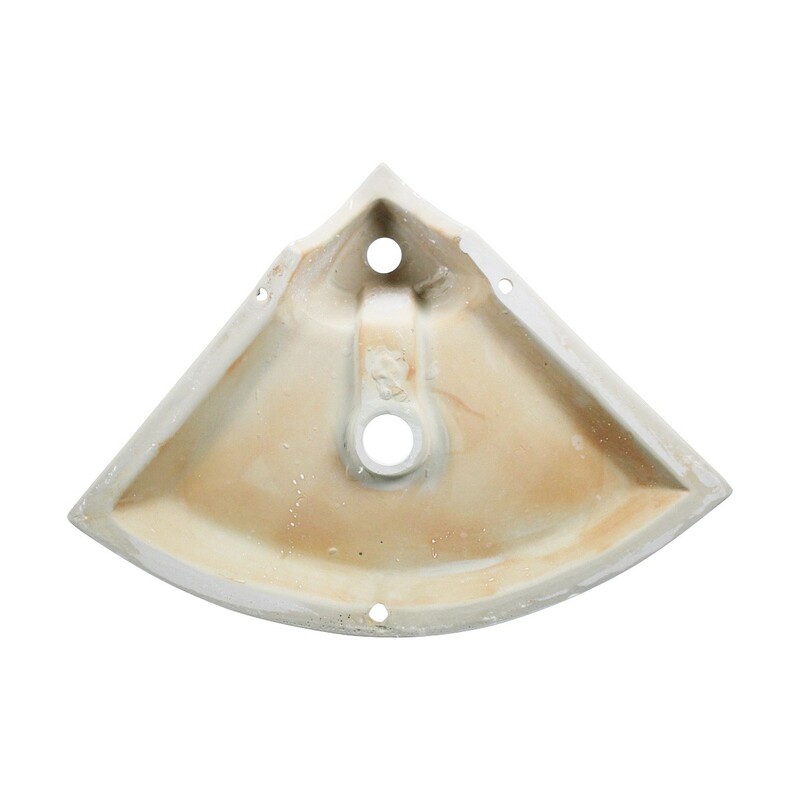 Product measurements include: 143mm H x 657mm W x 470mm Proj. One arrived crushed, but the company responded quickly and a replacement is on the way. These will be perfect for the mid century dresser with pie slice shaped tops on each end. I will post a picture...it might be a while...we work slooooowly!